I was nominated for a Liebster Award by the lovely Ms. Kenzie Leigh! The award is for bloggers who have 200 followers or less. Link the blog of the person that nominated you in your post and thank them! 1. Loyalty is HUGE for me. 3. One of my favorite past times is experimenting in the kitchen. If writing doesn't work out I'm seriously considering dropping everything and becoming a caterer/ chef. 4. My name is pronounced Shawh-ree. Not Share- ee, or Shuh-ree. 5. I practice feng shui, and believe implementing it has caused some changes in my life. 6. I'm extremely impulsive, and terribly indecisive. 7. Writing checklists is therapeutic for me.. I feel like I have all of my bases covered. 8. Lighting a candle before bed relaxes me and helps me to fall asleep. 9. Although I know it's contributed to who I am today, if I could go back and erase some experiences from my memory.... I would. 10. When I go out I order hennesy. It surprises people. 11. Superpower of choice. Teleportation. 1. What's your blog name mean? 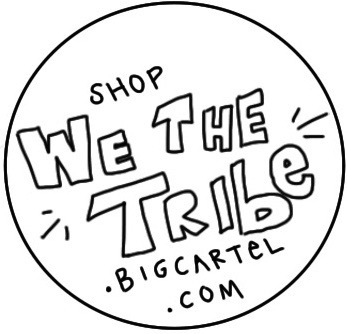 Inspire the Tribe came from an idea of reaching and inspiring the masses outside of the "masses". Inspiration can be found in any and everything and my blog is a collection of all that inspires me/ a peak into my personal life. 2. What made you want to blog? When I started this blog only one other person knew about it.. and I kept it that way for a year; no advertising, no word of mouth.. no nothing. It was more about having an outlet for my poetry, inner thoughts and random musings without having to worry about people close to me reading between the lines. I also blogged things that inspired ME... since it was more of a personal safe haven at that time. I'm a sucker for a good Ukrop's/ Martin's cupcake. If you've never experienced one, you haven't lived. 5. Where is your favorite place to spend money? Online, BCBG.. and a lot of European sites I stumble upon accidentally. 6. Favorite blog at the moment? Good question. I check fashionbombdaily... daily. 8. What song would you use to describe yourself? 9. If you could change one thing about yourself what would it be? 10. If you could be anywhere in the world, where you it be? Somewhere with a nice consistent warm climate, no worries and good company. I'm on the cusp of Aries and Taurus. April 19. 1. What are you listening to right now? 2. Do you think you're strong? 3. What is the least favorite thing about yourself? 4. Scary movies or happy endings? 7. If you could receive any gift what would it be? 8. Favorite item of clothing and why? 10. What's the next planned event in your life you're looking forward to? 11. What were you doing before you started this?